It was a fun and busy summer. I had my kids home with me and that is a truly special memory. I am working in several different ways. As an artist, writer, photographer and painter. As a Realtor with Century 21. I am learning much as I create a career at midlife. It is a year of healing and of change. It is a year of color and simplicity. It has been suggested to me that a time like this, in life, is like putting everything we own out of the house and on the lawn. Then, walking through it outside and adding back only that which fits our developing life. I am thankful to be better at 42 than I was at 22. I can see it in my eyes, I can see it in pictures. I can see it in how much I weighed. I can see it in my hair. I am a visual person but I can also feel how I remember past years. Some were better than others, but ultimately it is the right thing to age, inside and out, with grace. The inside and the outside selves are both a reflection of the other. One does not exist independently, it is like a creative collaboration. I find that the more we are honest and true with the inside of ourselves, the more we shine through to the outside. Beauty is a given. I believe there is a source of creation that has made each beautiful. The best thing you can do to look like yourself is to work on yourself on the inside. Your color shines through. I am exploring, thinking about a lot of things these days. I look forward to writing about the thoughts. I have a new computer since my other has crashed. This one has a lighted keyboard, which is soooooo useful since I often write late at night in the dark. What better place to write, for me, than from bed at night and overlooking the lights of the city. The painting I am posting to accompany this blog is recent. 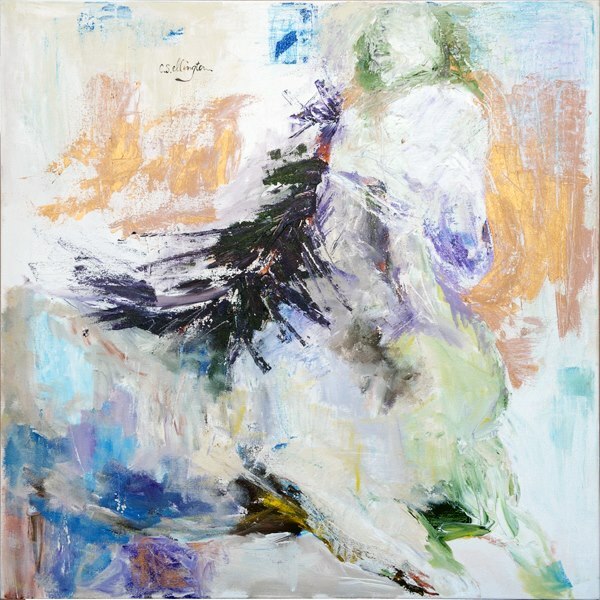 It is titled “Equus” and the title was created by my friend Rafael Bonilla. Rafael, thank you. I used as inspiration for shape a painting titled “Boundless Beauty” by Selina Taylor. I am learning to paint, I am learning to write, I am learning how to have a career. Much is new to me, in the year. I am grateful for the followers to my blog, you are good company on this journey. I am starting a website and prints of my art will be available for sale. I believe in reasonable prices for art. I believe in reasonable prices for life, but I am not in control of that. Thank you to the people who have supported my art. I do not yet know how to create a blog with advertising.. though I am working toward that. Sometimes, I feel that three or four of me would be quite useful in getting this life together after divorce. All happens in its own time. Best wishes to you and thank you for reading my blog. i read this with love.